Home Memoir or Autobiography Thinking About Writing a Memoir or an Autobiography? 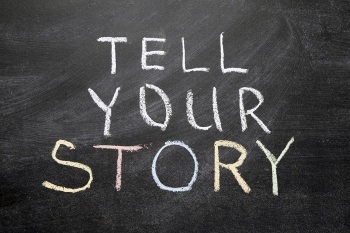 Whether you’re thinking of writing your own memoir or autobiography, or just looking for ideas on ways to share your stories, your advice, or the history of your family, MemoirHelper.com is a great place to start. Our goal is to provide you with tips, tools, and resources to help you find the best way to accomplish your goals. The resources on this site are mainly intended for those who just want to share their stories and their family history with family and friends. However, we will be happy to refer you to coaches and classes that can help get you the results you want if you are looking for more. If your main purpose is to record some of your life stories to share with family and friends without getting bogged down in the process, you will find many tips and tools right here that can help right here on MemoirHelper.com. 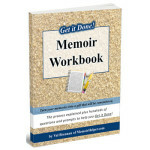 For starters, we would like to invite you to try MemoirWorkbook.com FREE for one month. We have created this easy to use and flexible tool that will help jog your memory, organize your stories and create a formatted document so you don’t have to spend hours doing it or hire someone to do it for you. Use promo code START1 to kickstart your project. This promo code will expire, so take advantage of it today! If you prefer writing with pen and paper, you may want to consider getting the Get it Done! Memoir Workbook. It’s loaded with dozens of topics and hundreds of questions to prompt your memories. It’s also got lots of space for writing. Beyond tips for memoir and autobiography writing, at MemoirHelper.com, we will be sharing all sorts of project ideas that can help harness, preserve and share the things that are important to you. Maybe you want to share excerpts from your grandmother’s diary or letters your grandfather wrote during the war. Maybe you’re looking for a way to honor that box full of mementos from a lost loved one? Or maybe you just want to let your family know what keepsakes in your home have special meaning and why. Sometimes these types of projects can seem overwhelming, but you might be surprised to find there are some simple and satisfying solutions to help you get it done!